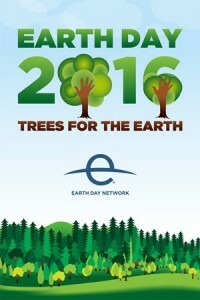 Earth Day is coming! April 22, 2016 will be the 46th year that Earth Day is celebrated. What started in 1970 as an America-only celebration has grown over the years into a global one. And that seems appropriate given that the Earth is our shared home. We invite you to join in the festivities! In 1970, 20 million Americans took part. In 2 015, over 1 billion people took part. In the past it has been thought of as a day to focus on the “environment,” but it’s much bigger than that these days. Anyone who has stopped to take a deep breath, or a sip of clean water, or marvel at a majestic mountain view is enjoying Earth’s resources. Conserving or renewing those resources is all about protecting humanity. The day itself reminds us of something important that’s easy to forget in our over-busy lives. Work, school, family care-giving and activities galore fill our schedules. Who’s got time to “worry” about the Earth? It’s a little like our own physical health. Who’s got time to get that annual physical, watch our weight, or exercise regularly? But just as neglecting your health can result in a heart attack or worse, neglecting the planet can have serious consequences. These take the form of more frequent destructive weather, droughts that kill food crops, and tropical insects (like the mosquito that carries the Zika virus) suddenly moving into your neighborhood – to name a few. Climate challenges are growing. In 2006, Time Magazine’s cover said, “Be Worried, Be Very Worried.” In 2012 Bloomberg Business Week cover opined, “It’s Global Warming, Stupid.” Recent data about our climate points to an increasingly problematic future. According to NASA, 2015 was once again the hottest year on record since records began in 1880. And scientists who look at ice cores can reconstruct temperatures from much earlier than that. That long look back reveals just how unusual our current temperatures are. Each campaign has multiple sub-campaigns beneath it. Pick one campaign that interests you, and see how you can get involved. This may sound like an “old” theme, but the simple truth is that trees are a uniquely powerful weapon in the fight to mitigate global warming. According to the EDN, a single tree absorbs 13 pounds of carbon dioxide per year. One acre of trees absorbs 2.5 tons of CO2 each year. This is not to mention the shade they provide, the oxygen they produce, the water they recycle and the other air pollutants they remove. Indeed, EDN’s “Top Five Reasons to Love Trees” is a wonderful summary that will have you browsing your local tree nursery for seedlings in no time. What’s going on around Tampa Bay? EcoFest – the Learning Gate Community School has teamed with the Patel College of Global Sustainability and the City of Tampa to host this event at the Lowry Park band shell area on April 23. St. Petersburg Green Thumb Festival falls on the weekend right after Earth Day. The “Green City” will offer 2 days of plants and trees for sale, horticultural exhibits, kids’ activities and plenty of local food. Fishackathon – The Florida Aquarium in Tampa is hosting this event throughout Earth Day weekend. Computer coders here – and in 40 other cities – will come together to find innovative ways to collect and analyze data, and find solutions for the problem of worldwide over-fishing. These events will be joined by many others, so watch for more announcements in April. Sustany® Foundation readers know that “Earth Day” really isn’t just a “day” any more. It’s a whole series of choices – large and small – that you make over the long term in order to keep the planet healthy. What will you do on Earth Day? And even more important, what will you choose to do the day after that to help the Earth stay healthy? Whatever it is – thanks!